Today's job market is competitive, but as the economy recovers, quality jobs are becoming available and it is more important than ever to do what you can to get noticed. Many candidates have the same qualifications such as degrees and internships providing some experience. According to CompTIA's website, there are 400,000 IT jobs available in the United States, and 86 percent of hiring managers say IT certifications are a priority. If you're just starting out, either graduating from college, or changing careers, determining which IT certifications to pursue can be a daunting task. Here are a few of the entry-level positions in IT, and descriptions of the certifications that will put your resume on the top of the hiring manager's list. The most relevant certifications needed for this position are the CompTIA A+ and CompTIA N+ certifications. 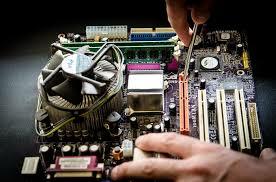 The A+ certification will give you a basic understanding of installation, preventative maintenance, troubleshooting and repairs for most PC hardware used today. The N+ provides the assurance that you understand how to configure, manage, maintain, troubleshoot and operate basic network infrastructure. Microsoft's new MCSE: Desktop Infrastructure is a great next step in continuing this career path. It will provide validation that your skills in remote desktop services, desktop virtualization and application virtualization allow you to manage and deploy devices from anywhere, while also maintaining compliance and security best practices. 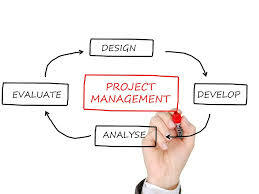 The key certification for the starting project manager is the PMP (Project Management Professional) certification from the Project Management Institute (PMI). This globally recognized certification will demonstrate that you have a strong understanding of project management, including planning, budgeting, time management and cost reduction skills. While there are other certifications, such as Six Sigma, which may be required by some employers, the PMP certification is one of the most accessible for the novice, while still well respected by professional organizations throughout the world. A software development career can take many directions depending upon the language preference and knowledge of the developer. Many colleges and universities do not offer opportunities to work in many technologies in demand today. A developer certification will provide proof of your expertise. For those who work with Microsoft development technologies, the MCPD (Microsoft Certified Professional Developer) certification is a great way to substantiate your ability to produce and maintain software solutions using the latest Visual Studio and Net Frameworks to fulfill business needs. 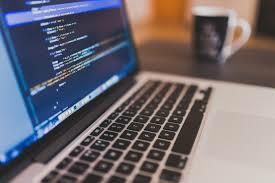 Java Developers can demonstrate their proficiency with an OCJP (Oracle Certified Java Programmer) or SCJP (Sun Certified Java Developer) certification. Add the BCIP (Brainbench Certified Internet Professional) certification to show your expertise in web development. IT certifications can have numerous benefits, such as enhancing your resume, commanding higher salaries, and can even assist in job retention. As your career develops, there are many additional certifications that will allow you to grow and expand your career options. As you embark on the path towards a career in IT, gaining additional certifications are a great way to continue to invest in yourself and your future. 0 Response to "IT Certifications Terminology and Duty"